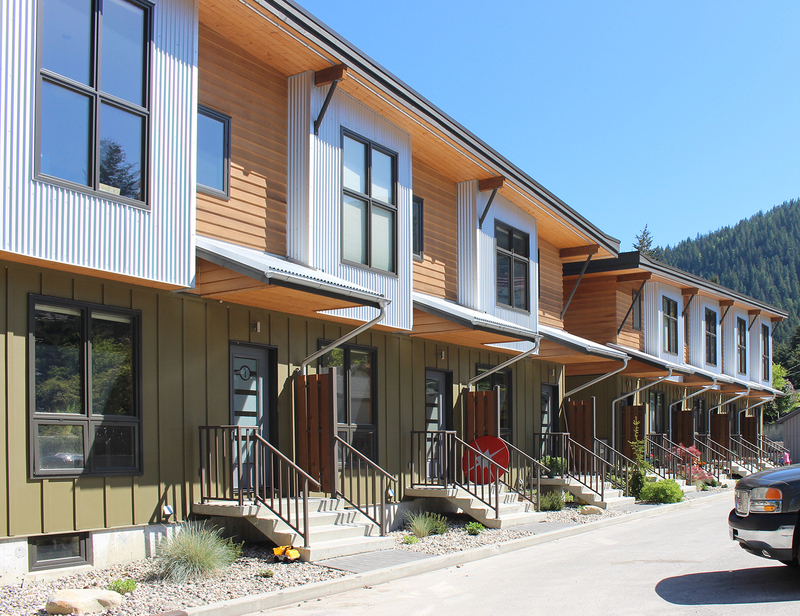 One of my favourite clients, a talented builder/developer, wanted to create these townhomes as a more affordable housing option in the overheated market of the late 2000’s. 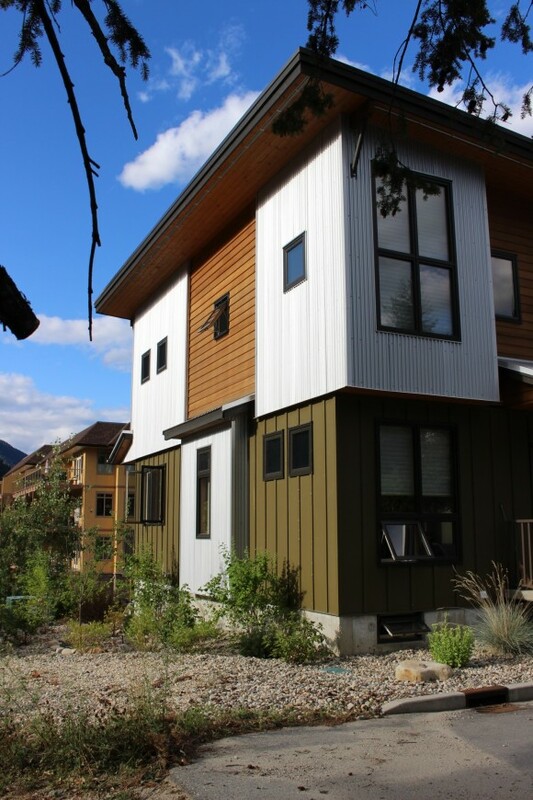 To avoid the “cookie cutter” look, we conceived a form in two parts that related to each other, and rooflines that created a wing effect. 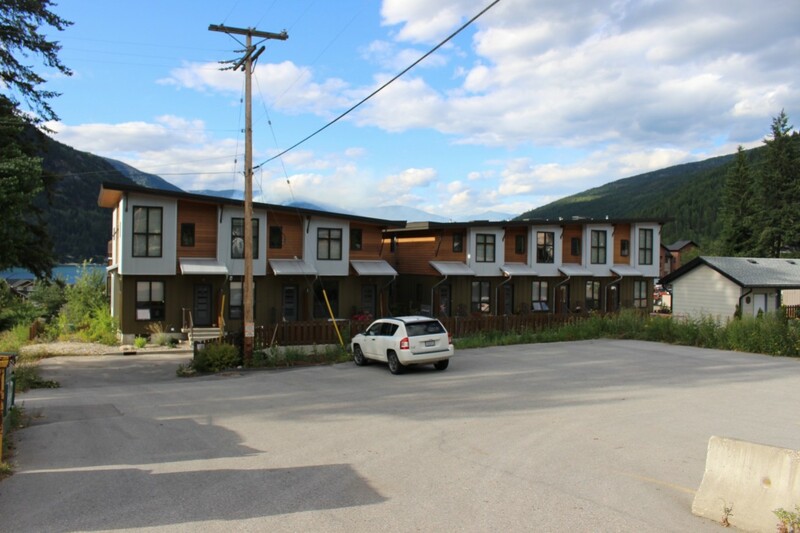 The sloping roofs added ceiling height in the outer units and lent a spacious feel despite the small-footprint. 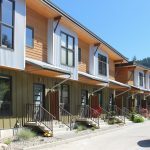 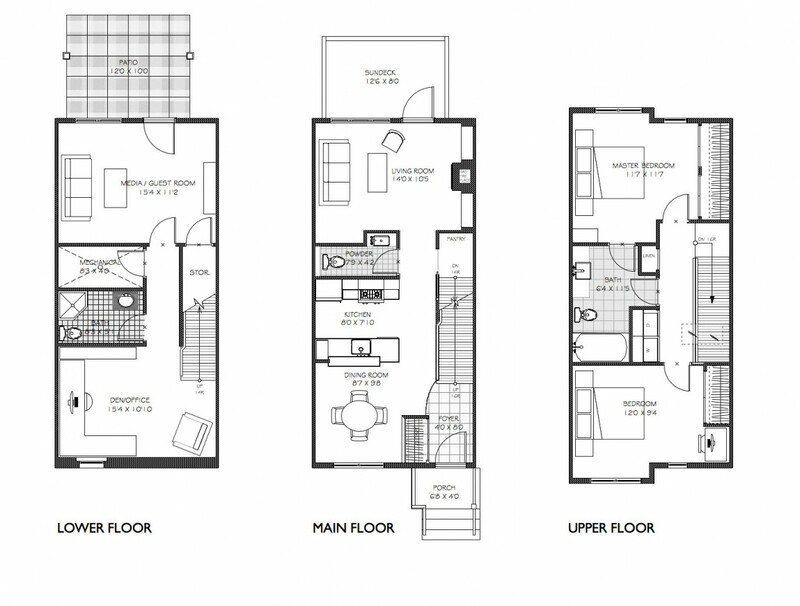 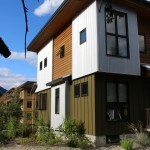 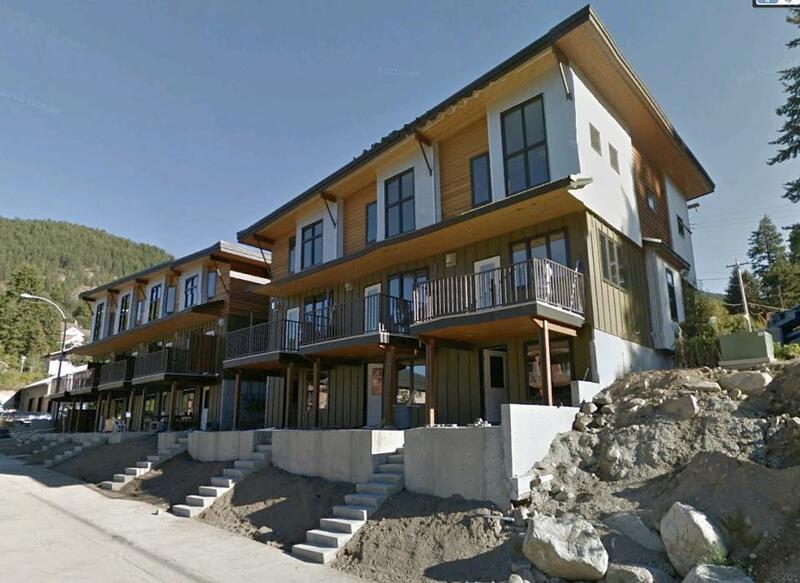 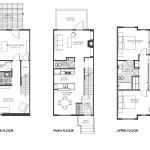 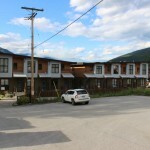 Only 16′ wide, each unit boasts over 1500 SF of living area on three levels, a private rear garden terrace and views of the Selkirk Mountains to the north.